As a general rule, I don’t like hype. I mean, who does, really? There’s something much nicer about stumbling across a book and realizing that it’s one of the best you’ve ever read and you have to share it with all your friends. When major media outlets have done all the work already, it can be such a letdown. And there ends the dullest conversation ever. 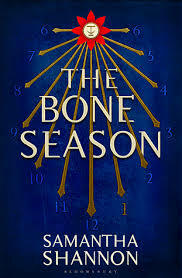 So I approached my ARC of The Bone Season (which was published today) with a big helping of skepticism and a dash of curiosity. The book tells the story of Paige, a clairvoyant in the underworld of a dystopian England governed by a security force called Scion under the control of an alien race. She’s a dreamwalker, one of the rarest forms of clairvoyance, and she can walk in the minds of others to influence them. In this world, however, clairvoyants are a minority that the government is seeking to stamp out: Paige ends up being captured and transported to a ruined Oxford, where she meets and confronts the alien race controlling her world. Took me a little while to figure out that the book wasn’t actually called Welcome to Scion. And I definitely had no inkling of all the hopes and dreams that were pinned on the book until later, when I started idly scanning over the marketing plan on the back jacket. The book is the first in a seven-part series. There’s already a movie deal, and Bloomsbury is spending a fortune on the marketing. Seven parts, you say? Bloomsbury, you say? Yes. They’ve gone there. 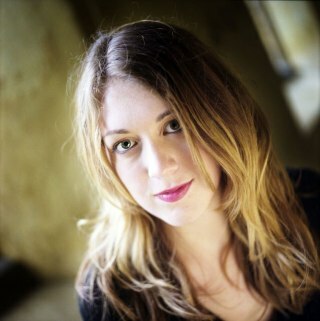 Samantha Shannon is being called “the next J.K. Rowling.” Oh, and by the way: she’s 21 and just graduated from Oxford. So I held my breath, told my cynical self to get lost for at least the first hundred pages, and dove into the book. Less than 24 hours later — slightly breathless and really behind on the work I was supposed to be doing that day — I finished it. I really, truly couldn’t put it down. And is there any higher compliment than that? So this is an endorsement. Four stars. Go read it. To be certain, it’s not a perfect effort. Shannon is young and green, and it is plain that this is a debut from start to finish. There are awkward lines (the kind that you have to reread four times to make sure you’ve got all the parts of speech properly labeled and clauses modifying the rights subjects, and only then can you puzzle out the meaning) and places where the pacing is off. It’s a complex world that Shannon has invented, and throughout the book we’re playing catch-up, more than a little desperate to follow the logic of the world-building. There’s a handy-dandy chart of all the different clairvoyant types in the front of the book, but it just lists names of types and the categories that they fall under — which leaves us feeling like maybe we’re idiots for not knowing the histories and abilities of all these different kinds of psychics off-hand. But even if we could remember what they were all called and what they all did, there’s still the problem of slang. For starters, Shannon is British and she writes in her mother tongue. Apparently no one felt it was necessary to translate words like “plaster” into American English, which I think will end up backfiring on them. Maybe Bloomsbury is trying to make up for how upset Jo Rowling was when they made Mrs. Weasley a “Mom” instead of a “Mum” and had Harry running around in “sneakers” (rather than “trainers”) to wish people a “Merry” rather than a “Happy” Christmas. But the simple fact of the matter is that Americans don’t know what plasters are: I made my family guess, and none of them could get it until one of them snuck out a smartphone under the table (they’re Band-Aids, by the way). And while it would be one thing to wrangle with a little authentic British slang, the problem is that there are four other types of slang in the book: Victorian English slang (because the world of Scion diverged from our in the 1850s, and still hasn’t quite caught up), slang from the clairvoyant Scion underworld, slang from that same underworld that’s ten years out of date (it’s used by the Oxford prison-slaves, who haven’t had any encounter with the outside world for the last decade), and the slang of the alien race known as the Rephaites. (To be fair to Shannon, there is a glossary in the back. An insufficient one, but she tried.) Oh, and all those different types of clairvoyants have a couple of slang names to go along with the proper name that’s in the front of the book. So… I’m sorry, guys. Complexity is cool, but this is a little much. Maybe it wouldn’t be so overwhelming if the pacing at the beginning of the novel hadn’t been so strange. The story starts in London, with Paige working and living with the members of her gang in Seven Dials. (Aside: I love Seven Dials. Excellent choice of location, Miss Shannon.) We’re trying to puzzle out Paige: her childhood in Ireland, her youth with her father in the rich upper crust of Scion society, her fall to the underworld, her clairvoyant gift, her relationships with the members of her gang. We’re also trying to understand the society that she lives in and how in came to be. (And, of course, learning and negotiating all that slang.) It’s a major info dump. All the reviews agree, and Shannon admits to it and discusses the reasoning behind it on her blog. But in the course of 30 pages, Paige has killed a man, been kidnapped, and is residing in Oxford, where everything she ever thought she knew is proven false. And so in less than 30 pages, we’re given a foundation to stand on and then get it ripped completely away. It’s disorienting. And kind of annoying. And while Paige’s London gang does end up being important to the plot and we do learn a lot more about them as we go along, there’s an alienating effect to those first 50 pages that Shannon and her editors should not have ignored. She claims that the information learned in those early pages is so essential that she can ignore all the rules of good writing and give us chunk after chunk of dense, tough-on-the-eyes world-building. A little more respect for the reader, please. The first 50 pages is where a novel earns the right to be read, and carrying on with Shannon’s takes quite a bit of patience and commitment. It’s an amateur move, and to defend it is a bit self-important. But enough of the negatives. This was a book that I thoroughly enjoyed reading, and there are reasons for that. I liked Paige. Plain. Simple. That’s all there is to it. She’s prickly and plucky. She doesn’t listen when she’s told. She gets attached to people quickly and easily. She gets turned down by a boy. She’s loyal. She’s pigheaded and stupid at times, and too trusting at others. But she’s not melodramatic. She’s pretty clever. And most importantly, it’s fun to be inside her head. There are too many characters. That’s definitely a fact. They didn’t get enough page time apiece. But I found myself caring about a lot of them; I wanted to know more about them. I would have read another 200 or 300 pages of this novel to better understand the characters, and that says a lot. There were flashbacks to Paige’s past throughout the story, and while I really liked them (they were sometimes more interesting that what was going on in the present), it bothered me that they were there. I thought that we could have spent more time focused on what was going on between Paige and Warden (the other main character, one of the alien Rephs): after all, Paige claims she is there for months, but it feels a lot more like a week or two. Expanding on what was going on in Oxford could have helped. But then! Shannon explained why Paige was having these flashbacks. They weren’t just tools of the author. They were really happening to Paige and there was a reason and it was perfectly done. It was, I think, one of the triumphs of the book. The love affair. We all saw it coming from the moment we read the jacket sleeve. It could’ve been very Twilight-esque: there were parts early on that waxed vampiric and dominant and I was very nervous. It could’ve been the focus of the whole story. But thank bloody goodness, it wasn’t. The romance was quietly, tactfully, almost shyly done, with a bittersweet resolution and no melodrama. I already said this, but it bears repeating: I couldn’t put the book down. Once you wade through all the world-building and get a feel for how everything works, the complicatedness becomes enjoyable. There’s a steep learning curve, to be sure, but the work is worth the reward. So set aside a day. Go read it. Enjoy. Feel sorry for yourself that you don’t have a seven-book deal at the age of 21. And then look forward to the next one, because I’m not really sure where we’re going next, but I’m definitely excited to find out.